If you’re like most people, you want a home that feels comfortable and luxurious, but perhaps you don’t want to spend a luxurious amount to get it. 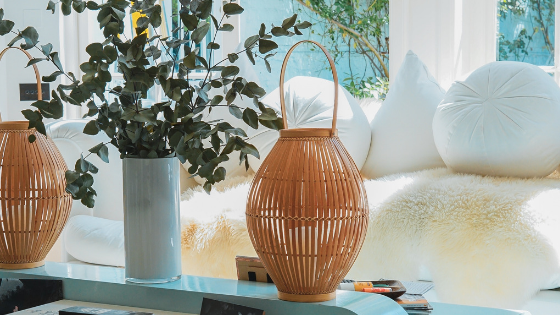 Thankfully, there are many ways you can upgrade your apartment space to give it a more luxurious feel without spending a lot of money. Here are some ways you can dress up your Edgewater apartment on the cheap. If you walked into a luxury hotel room, one of the first things you’d notice is the lush linens. Textures create a feeling of luxury, and they don’t have to cost a lot. Add textured throw blankets or pillows to your couch or bed, or upgrade the window coverings to an elegant fabric. These simple changes will go far in making your space feel luxurious. Though your apartment may have lovely hardware on cabinets, upgrading it is cheap and can make your space feel even more luxurious and customized. Choose something elegant that matches your style, and keep the hardware that came with your space in a safe location for later. Fresh flowers, or fake flowers that look fresh, make your space feel instantly more elegant and refined. Again, this an affordable addition, particularly if you invest in a flowering houseplant that will continue to improve the look of your space for many years. High ceilings are one of the features of many luxury homes. Curtains that run from floor to ceiling make your space feel taller and more elegant. Upgrade your curtains to achieve this look, without spending much at all. A cluttered space rarely looks refined and elegant. Reduce as much clutter as possible to improve the luxury feel of your apartment. This particular tip is completely free, which is an added bonus! Making Edgewater apartments feel luxurious does not have to be difficult or costly. With a few changes here and there, you can have an elegant and refined space that looks like you spent a ton, all while sticking to your budget. The right apartment is the starting point. Check out the apartments at Infinity Edgewater to see what luxury living should look like.